GM Supplier Diversity Team from Left to Right: LaShawn Henderson, Pollyette Lenear, Reginald Humphrey, David Drouillard, Donna Gilmer and Amanda Krogol. 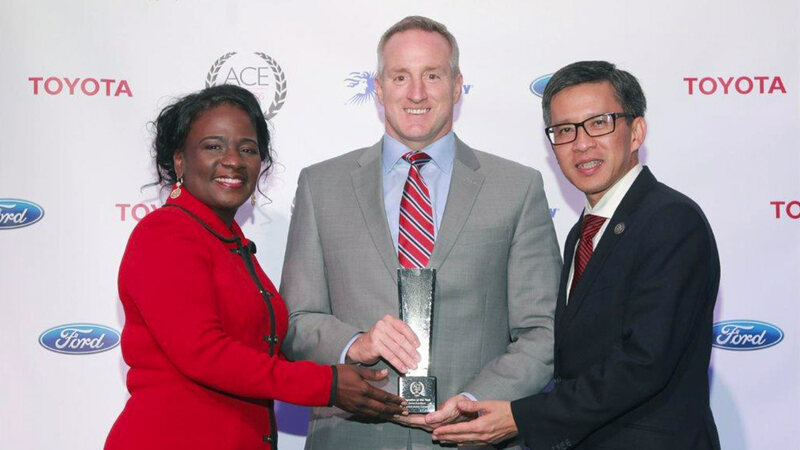 Michelle Sourie-Robinson and Hau Thai-Tang (MMSDC and Ford) present David Drouillard, GM Global Purchasing-Indirect and Machinery & Equipment, with the first ever Executive of the Year Award. Michigan’s top corporations and minority business enterprises (MBEs) gathered to honor those who champion excellence in business for the Michigan Minority Supplier Development Council’s (MMSDC) 33rd Annual Awards celebration, the Ambassadors Championing Excellence (ACE) Awards and the Hall of Fame. General Motors is honored to have brought home the Corporation of the Year Automotive OEM and congratulations to GM executive, David Drouillard, on being named Executive of the Year. Michelle Sourie Robinson, President & CEO of the MMSDC said, "We recognized corporations, minority businesses and individuals who excelled in engaging, mentoring and advocating diverse suppliers this past year. Our Ambassadors are true champions of excellence in minority supplier development." 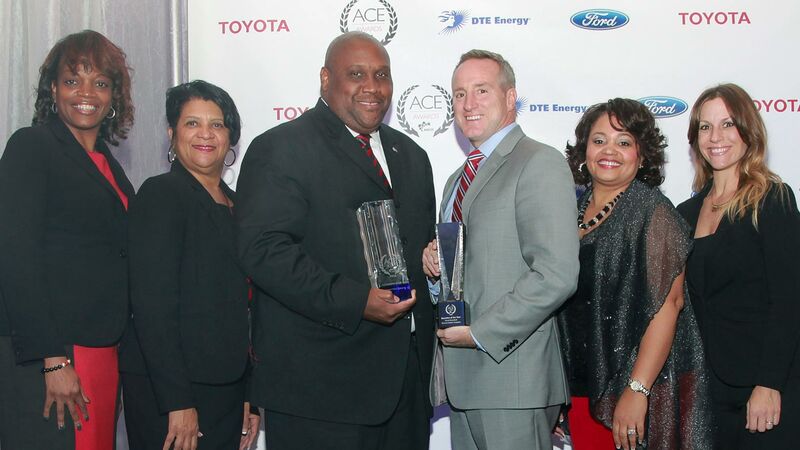 Boasting an attendance of 850, the ACE Awards is one of the most prestigious business events that take place annually in our state where the top leaders, executives, and visionaries in the region gather to celebrate the people who are making significant contributions to minority supplier development. At this event, MBEs are honored for their excellent service in the past year, as well as corporate members for their commitment to supplier diversity and supporting minority-owned businesses through purchasing contracts.